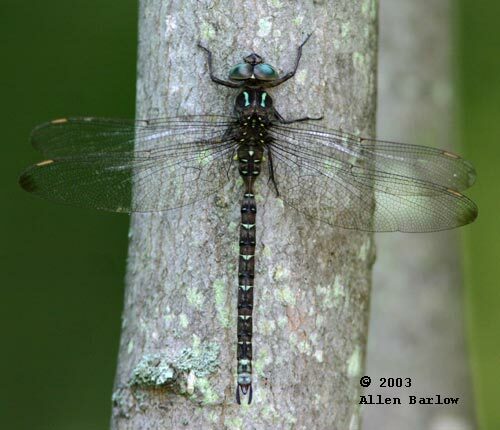 Habitat similar to Fawn Darner, but may prefer faster streams, usually with rocks. 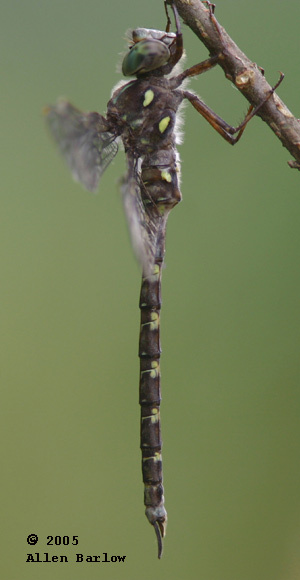 Grayer overall than Fawn Darner with brighter eyes, well developed frontal stripes and brighter abdominal spots. 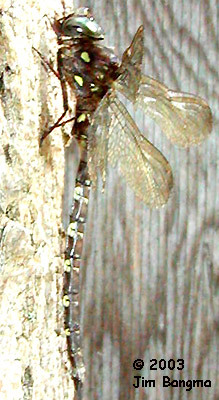 Wings may be tinted brown, but seldom as dark as Fawn Darner and they lack the dark basal spot of Fawn Darner. 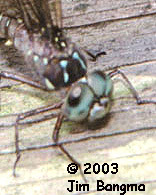 Patrols a little higher and faster than Fawn, and is a little less nosy.